I promise this tastes much better than it looks! 1) Whisk together the egg and spinach in a bowl and set aside. 2) Coat a non-stick skillet with coconut oil and toss in the onion, tomato and turkey. Scramble for about 45 seconds then transfer to a bowl. 3) Coat the skillet again with a little bit of coconut oil and pour in the egg & spinach mixture. Use your spatula to arrange the mixture into a flat circle. Let it cook for about 30 seconds on medium-high heat. 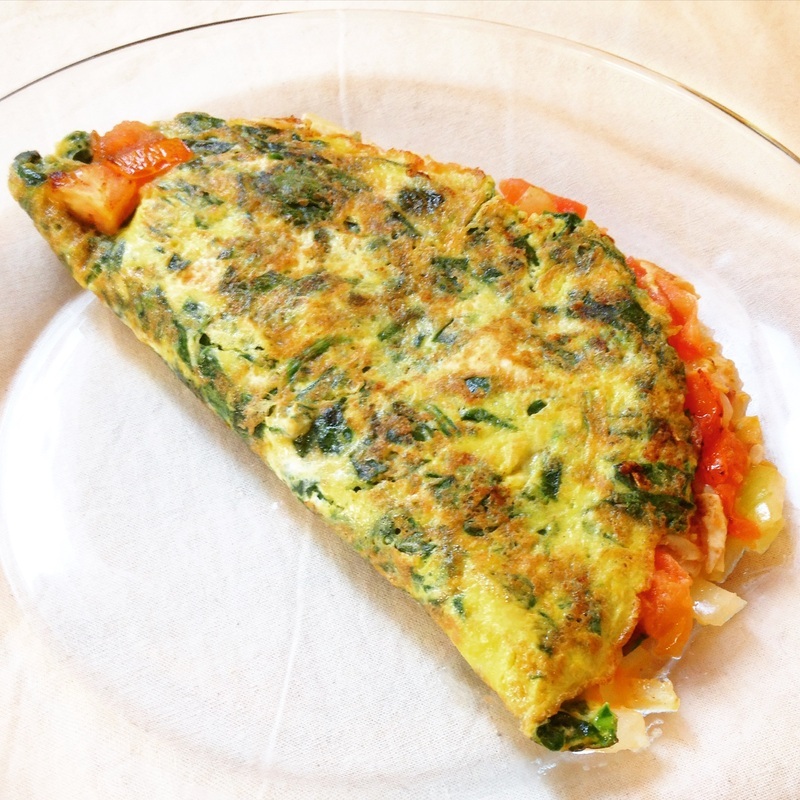 4) Scoop the mixture of onion, tomato and turkey onto one half of the egg & spinach pancake before folding the other half of the omelette over the mixture. 5) Cook for about 10 more seconds, before flipping and cooking the other side for 10 seconds. 6) Slide onto a plate and enjoy!